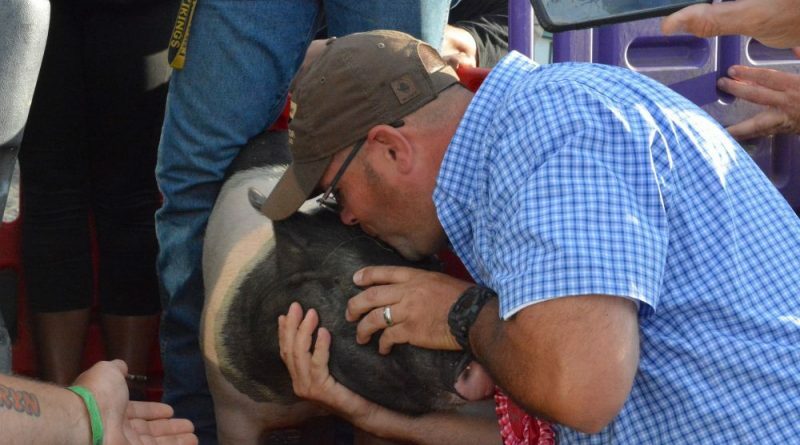 Josh McKim won the 2017 Kiss A Pig competition, after raising a record $7,871.98 to support youth programs. 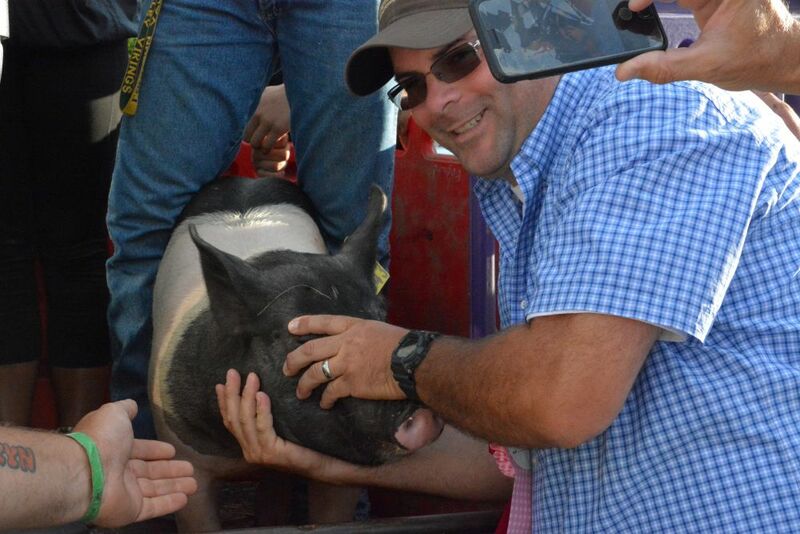 The result was announced on the last night of this year’s Loudoun County Fair, just before he claimed the grand prize by kissing a pig in front of a grandstand full of spectators. 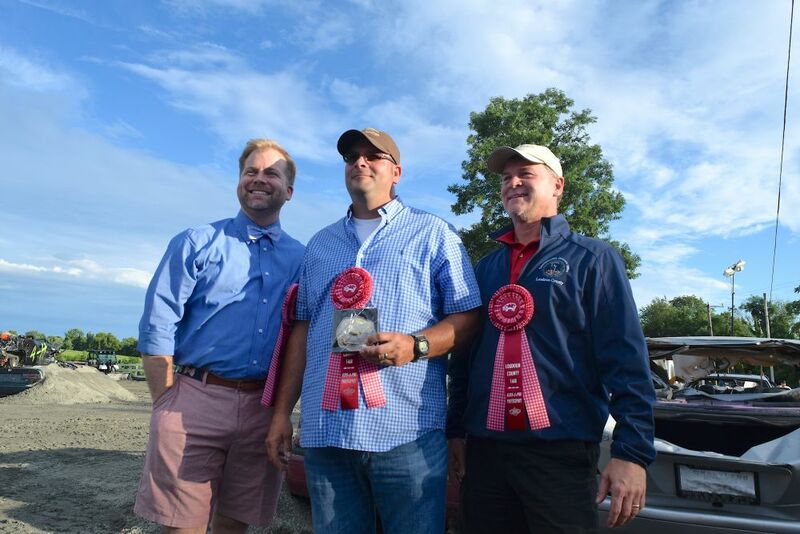 This year’s contest featured Lovettsville native McKim, an associate with Sotheby’s International Realty; public relations guru Rusty Foster; and Loudoun Commonwealth’s Attorney Jim Plowman. Together the trio raised more than $16,000, also a record for the two-decades-old tradition. What a great event! Congratulations to Josh and to the pig! Congratulations to our Josh McKim for raising a record $7871 in support of 4H! Thank you to everyone that donated and a special thanks to the real estate community for their support.